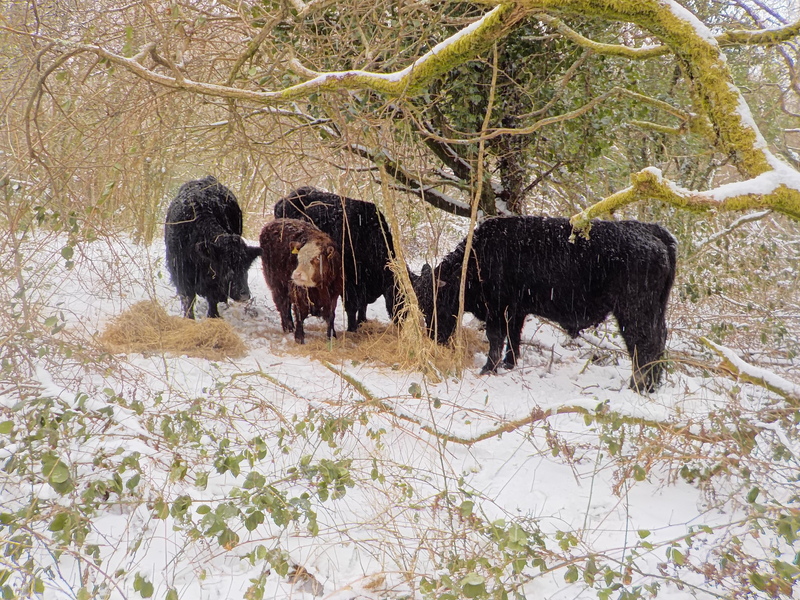 Our small herd of Hereford and Welsh Black cattle are integral to the good ecological management of the farm. 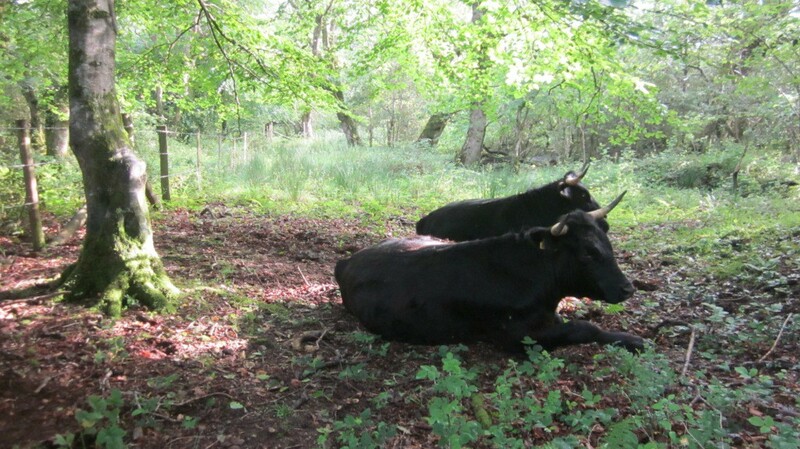 This land was farmed traditionally with beef suckler cows for many years before us and the wildflower meadows and marshy areas thrive under their grazing. The amazing range of plants here is reflected in the cattle’s diet. 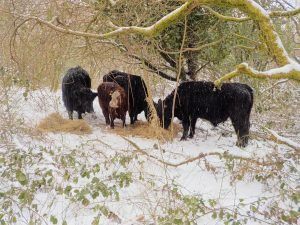 They feast on the rich meadow herbs, browse on woodland leaves and summer graze on the moor-grass tussocks in the wetlands. As a result, the beef we produce is lean, beautifully textured and full-flavoured. If you’d like to try it then get in touch. We generally finish one or two steers each year, and need at least a dozen customers lined up before ringing the butcher. We often have some frozen supplies through the year if you miss the fresh stuff. 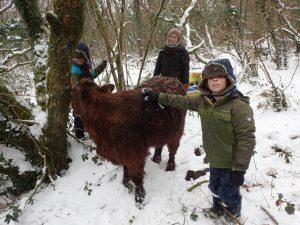 The beef doesn’t make us much money, but we’re keen to keep the traditional grazing going and contribute some quality food to the good people of west Wales!